Earn 107 loyalty points, worth £5.35, with this purchase. 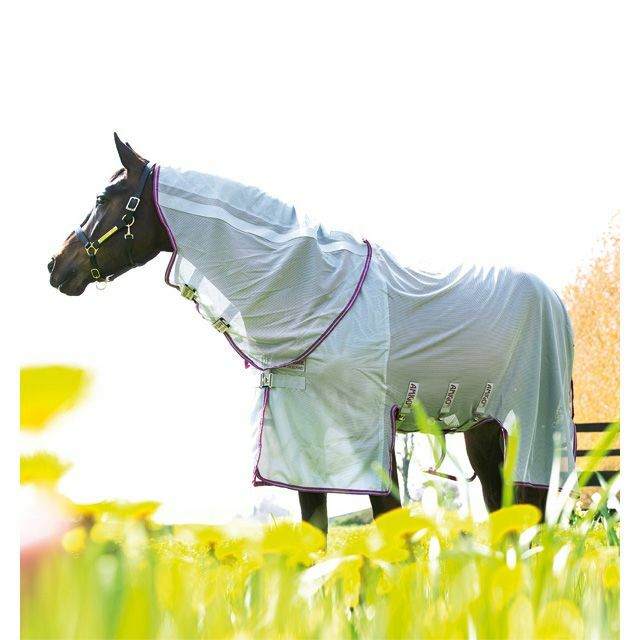 Horseware Amigo Bug Buster Fly Rug has been Vamoose treated for superior fly protection. Extra depth which allows the rug to be wrapped round the horse's belly for added protection. The same material as the Amigo Bug Rug. Silver/Navy in6ft 3, 6'6" and 6ft 9 due in stock 20th August.